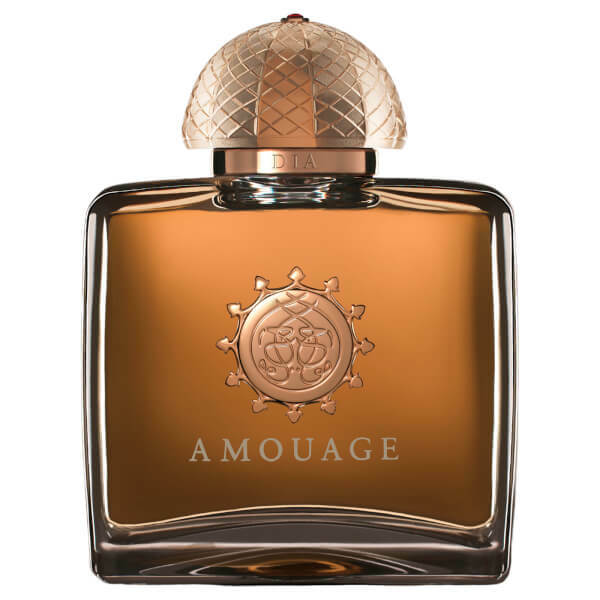 Discover Amouage's Dia Eau de Parfum, a vibrant, sophisticated fragrance. Decorated with crystal glass, the bottle houses a finely blended perfume that has been made using only the highest quality ingredients from around the world. Notes of fig, cyclamen and violet leaves set the tone, infusing the mind with a luxurious fragrance ideal for day or evening wear. Developing into a heart of orange flower, rose oil and bouquets of sensuous peony before settling into a base of white musk, frankincense and sandalwood. E.N. 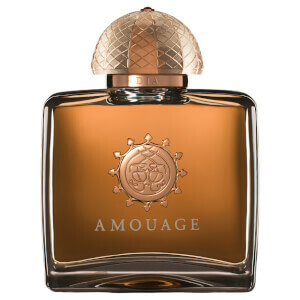 Top Notes: Fig, Cyclamen, Bergamot, Tarragon, Sage, Violet Leaves. Heart Notes: Bush Peach Blossom, Rose Oil, Orange Flower, Peony, Orris. Base Notes: White Musk, Frankincense, Vanilla, Heliotrope, Cedarwood, Sandalwood, Gaiac Wood.